Over 600 churches around the world put on an unforgettable prom experience for those with special needs Friday night. JONESBORO, AR (KAIT) - Over 600 churches around the world put on an unforgettable prom experience for those with special needs Friday night. About 140 guests attended the prom in Jonesboro, created by the Tim Tebow Foundation. 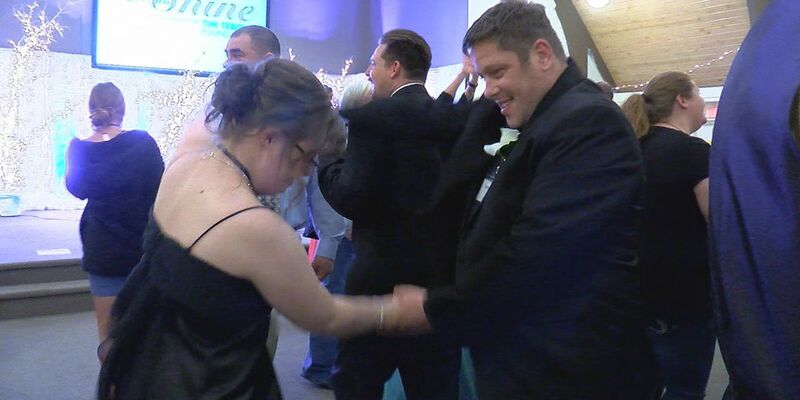 The guests and volunteers came from all over Northeast Arkansas to experience a night to shine. “This is a night for them to all be kings and queens in God’s eyes,” said volunteer Susan Smith. The event was important for everyone who attended. “I’m here to have fun. To have fun dancing with my girlfriend tonight,” said guest Jason Cross. A Night to Shine was created in 2014, and this is the second year for Jonesboro and Northeast Arkansas to participate in the event. “That’s the beauty of it we have people from all over Northeast Arkansas that come together and help and work together with just one cause and that’s to serve these special people,” said Smith. The guests were able to walk a red carpet, take professional pictures, and dance the night away, all with a special message. “This is a different prom in that they are showered with God’s love made to feel very special,” said Smith. It was a night to show God’s love, and to have a lot of fun, those who attended the event said. “Just break it down, have fun. Do what dance is supposed to do,” said Cross.